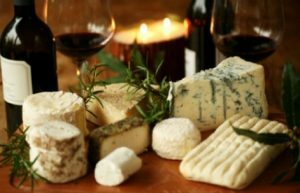 Wine and Cheese 101 Class at Bin 41 Feb 26th! , call or stop into the bin. They will take your credit card information at the time of the reservation. Cost: $50 pp ($40 for club members). Click here for more details on classes at Bin 41. And don’t miss the Tasting this Friday, February 25th from 5:30-7pm, with Anam Cara wines with owner Sheila Nicholas (Oregon) to share some of our favorite pinots at the Bin! We hope you can stop by to meet Sheila and sample through a wonderful line-up of wines!